Lyon - Lyon, also called the “Gaules Capital", is mainly known for its historical sights and for its typical gastronomy. There, you can find Roman and Romanesque sights, beautiful parks and breathtaking landscapes over the two rivers. 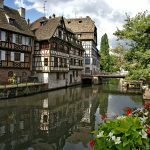 Strasbourg - Located in the beautiful region of Alsace, Strasbourg lies right on the French-German border: for this reason, it offers visitors a unique mix of French and German culture. 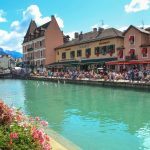 Annecy - Annecy, the “Venice of the Alps”, lies on the Northern side of Lake Annecy: there, you can enjoy beautiful landscapes, boat cruises on the lake and amazing outdoor activities. 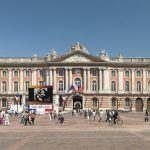 Toulouse - Toulouse is one of the biggest cities in France: it lies on the Garonne river and it is considered to be the capital of the cultural region of Occitania, home of one of the oldest universities in France and centre of the European aerospace industry. 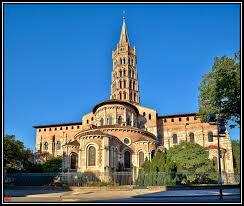 Arles - Arles is mainly famous for the Roman and Romanesque monuments and sights spread around the town. It was an important Roman town and many monuments are still intact. Avignon - Avignon, the city of Popes, is famous for the Papacy which lasted from 1309 to 1377, when seven popes resided there. The most important sights are the Papal Palace and the Bridge of Saint-Bénézet. Aix-en-Provence - Aix-en-Provence is a small elegant town 20 minutes from Marseille. Walking down the Cours Mirabeau, you will see all the most important sights of the town. 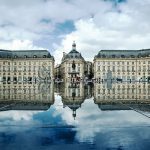 Bordeaux - Bordeaux is one of the largest cities in France, located in the Southwest of France on the Garonne river. It is mainly known for its quality wines and represents the world’s major wine industry capital. 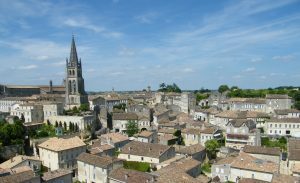 Saint-Emilion - Situated in a hilltop position, Saint-Emilion dominates the Dordogne Valley: its landscape, which consists of the village and the vineyards, has been awarded the title ‘Cultural Landscape’ by UNESCO – first vineyard in the world! 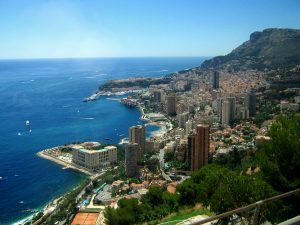 Monaco - Monaco is an elegant small principality close to Italy, famous for the Grand Prix, the royal family which still runs the town and the magnificent Casino. There, you can find a perfect mix with the typical Mediterranean atmosphere and the splendour of royalty. The tour of France in 15 days will give you the opportunity to travel around the most beautiful towns and sights in the country. 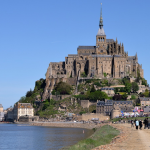 You will start your tour leaving from Paris towards Normandy: with the train, you will easily reach the train station of Trouville-Deauville and, then, you will start you trip. First, you will visit the amazing, classic village of Trouville situated along the ocean: there, you will take a look at the ancient palace called Hôtel des Roches Noires and you can visit the Villa Montebello, which houses the museum of the city. You can walk along the beach and take a break by relaxing on one of the beautiful piers. 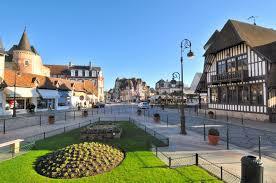 Later, you will reach another small village, Deauville, the “Queen of the Norman beaches“. Deauville has been one of the most prestigious resorts in France for the Parisian high society and has played a major role in Proust’s “In search of lost time”. Deauville is a fashionable holiday resort, but it is also known for a famous international film festival, a race course and its harbor. You can walk along the beach, experience the unique atmosphere of the village and have lunch in one of the elegant restaurants in the village. Later, you will move to the famous D-Day beaches, in order to experience a piece of global history! You will have the chance to explore the historical significance of the American sector, with a guide who will explain the significance of all the beaches and villages: you can take pictures, learn, reflect and understand how these events happened. You will have lunch either in a historic café or a traditional coffee shop. You will then see Pointe du Hoc and Omaha Beach, the place where American troops arrived via boat. 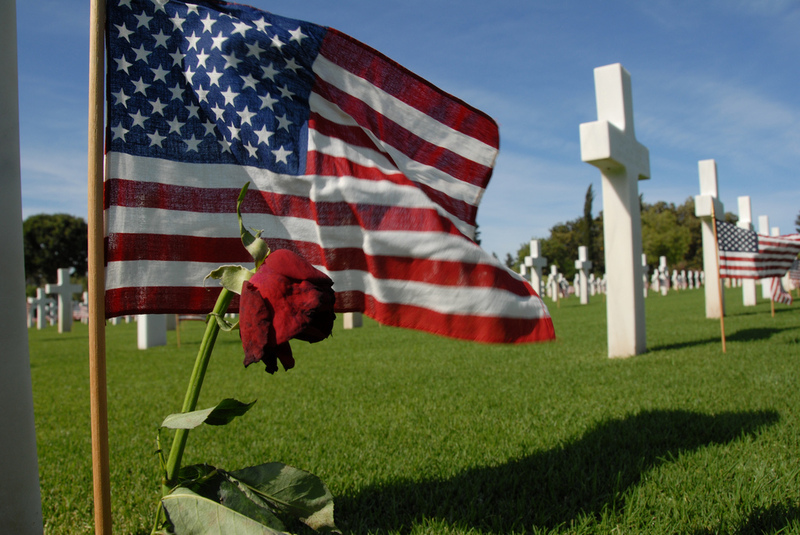 At the end of the tour, you will also visit the Normandy American Cemetery and the Visitor Center. After dinner, you will be driven to your hotel, where you will spend your first night. 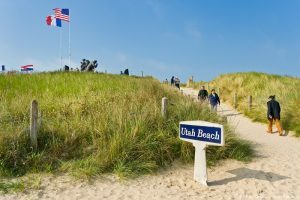 On your second day, you will start your trip visiting some other D-Day beaches and the most important sights in the area. 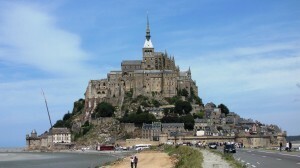 Then, you will be driven to Mont-Saint-Michel by minivan. 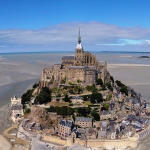 Mont-Saint-Michel is a village full of history: you can walk through the narrow streets, admire breathtaking views and plunge yourself into the medieval era thanks to the impressive Gothic architecture. You can take a stroll on the bay – if the tide allows – in order to have a beautiful view of the village. 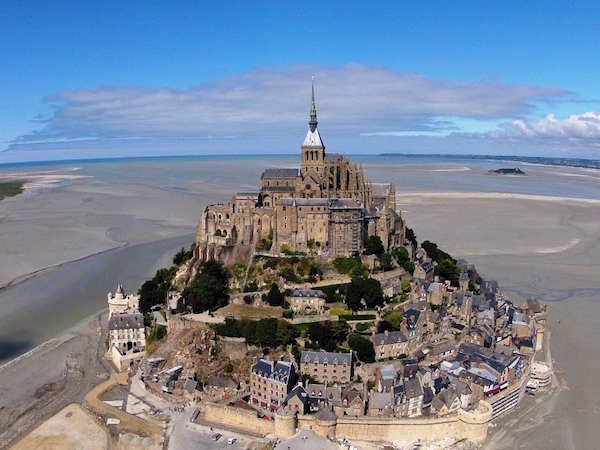 In particular, the Mont-Saint-Michel Abbey will offer a unique experience: there, the beauties of history and architecture will give you a thrill that you will never forget! The Abbey, which is one of the UNESCO World Heritage Sites, was built with different styles (Roman and Gothic) and it is divided into several sections: an underground church, the Abbey-church and the monks living area. Within the island, you can also do some shopping, visit other specific sights and museums, as well as eating in some regional restaurants. After that, you will be driven to the train station in Caen and, from there, you will take the train to the Loire Valley. Once you have arrived in Tours, you will be driven to a hotel in the area. On the third day, you will reach Tours by train: there, a minivan will pick you up in order to guide you through the amazing Loire Valley and its chateaux. 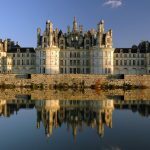 The first castle is the Chateau of Azay-Le-Rideau: in this castle, built during the reign of Francis I (16th century), you will find a perfect example of Renaissance architecture. 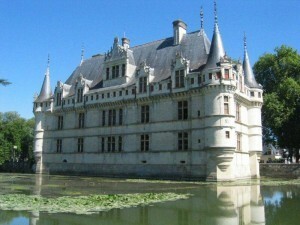 The chateau lies in the middle of the Indre River, with towers, turrets and influences from the Italian art. within the chateau, you can also visit a collection of Flemish and French tapestries which furnish the chateau’s apartments. Then, you will visit the impressive Gardens of Villandry, in the Chateau of Villandry: they are known for their beauty and structure. There are three different levels: the water garden, the decorative flower garden and the kitchen garden. 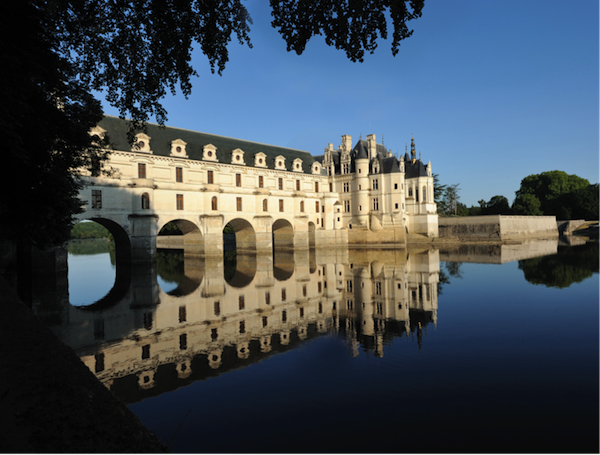 You will have lunch in a regional restaurant in Tours; later, you will reach the Chateau of Chenonceau: it was built in the 16th century and later modified by Catherine de Medici. You can take a walk in the French gardens and, later, you will leave with the minivan towards the Chateau of Chambord. It was built by Francis I, with 440 rooms, a fortress covered by Gothic roofs with turrets and façades. After the visit, you will be driven back to the hotel, where you will spend the night. You will spend your 4th day visiting the Bordeaux region. You will take the train in Tours and, in only 3 hours, you will reach the Bordeaux central station. 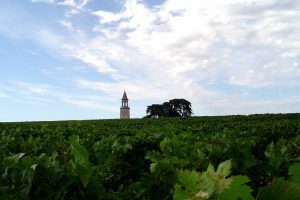 During the day, you will take one of the most famous ‘wine roads’: the road to Saint-Emilion and Pomerol. You will have the unique chance to visit the best chateaux and vineyards in the region, comfortably seated in a private minivan. Even more, you will taste some high quality classified wines that you will never forget! 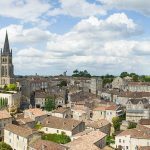 The region of Saint-Emilion dates back to the Roman age: it is the most famous area of the Bordeaux region also thanks to the Medieval village of Saint-Emilion, a small commune with dozens of historical monuments. There, you can find an impressive monolithic church, some ancient walls and typical streets, squares and buildings. 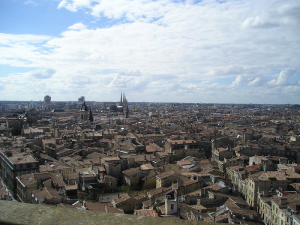 With Médoc, Saint-Emilion is the main area in the region and it houses 4 Premier Grand Cru Classé A estates, the highest level of the classification of Bordeaux wines. In every chateau you visit, you will have the opportunity to taste a different wine. Don’t miss all the sights in the village (some of the UNESCO World Heritage Sites) and try some local food, to have a better understanding of regional tradition! 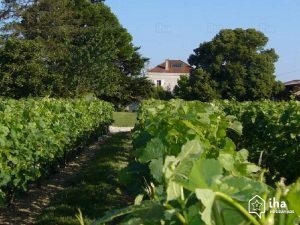 You will also have the chance to visit the small Pomerol area, a ‘satellite’ which offers high quality wines made with Merlot and Cabernet. You will spend your night in a beautiful hotel in the vineyards. By doing so, you will get to experience the whole atmosphere of the region. On your 5th day, you will spend half a day through the most impressive ‘wine road’ in the Bordeaux region: the so-called ‘castle road’, or D2 (Départementale 2) in the Médoc area. The driver of a private minivan will pick you up and will lead you through the highest quality vineyards and chateaux of the region. 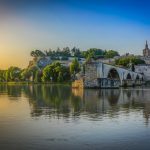 Across this area, you will find and visit some of the most famous and renowned winery villages and chateaux of France and you will try the top wine appellations, like Moulis or Sainte-Estèphe. 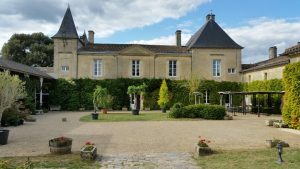 You will pass by and visit some magnificent and charming French chateaux and, there, you will taste different varieties of Bordeaux, along with some food tastings. All the red wines of the famous 1855 Classification are from Médoc: one of the most famous ‘appellations d’origine’ (controlled designation of origine) is the Margaux AOC. After the visits and the tastings, your driver will bring you to the Bordeaux, in order to experience one of the most beautiful cities in France. First, you can take a walk in the Old Town (on the left bank of the Garonne river) and visit the famous district of Saint-Pierre: in this village-like part of the town, you can stroll around the narrow streets, medieval and Roman squares. The Roman and Gothic architectures will bring you back to the past centuries and the Roman Cathedral, along with the Tower Pey-Berland, will offer a unique and monumental insight into the history of the city. 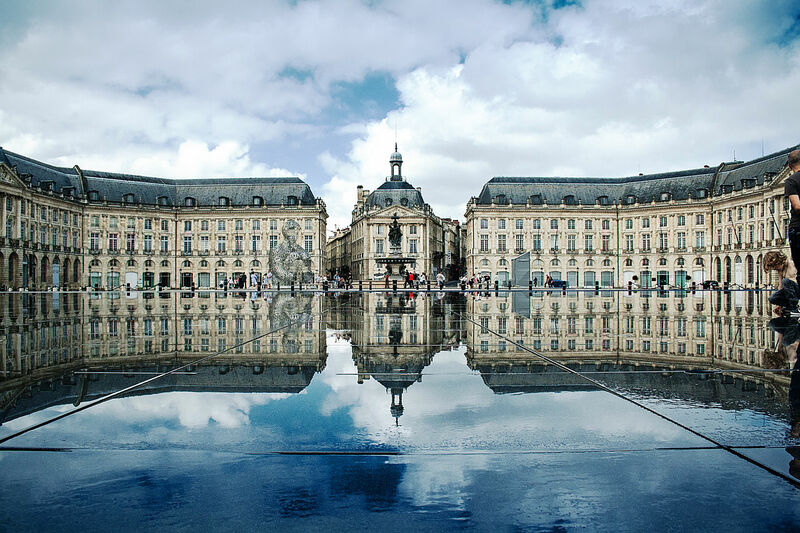 In this district, don’t miss the amazing Water Mirror, the icon of Bordeaux: it is a reflecting pool, situated in Place de la Bourse, which alternates mirror effects and artificial misting. 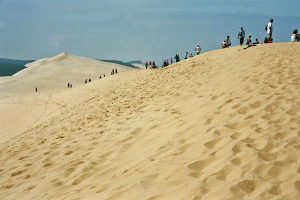 In the afternoon you can move to the Dune of Pilat, the tallest dune in Europe, in the Arcanchon Bay: transportation takes around 45 minutes from Bordeaux, but you will have the opportunity to see one of the most magnificent natural sights in the world. From the top of the hill (110 meters above the sea) you will be able to relax and enjoy the incredible view. Once back in Bordeaux, you will be driven to your hotel, where you will spend the night. On your 6th day you will leave from the Bordeaux train station in order to find, in approximately 2 hours, the city of Toulouse. There, you will spend a relaxing morning around the city center, visiting the impressive Basilica of St. Sernin and the Cathedral, admiring the Romanesque style of their towers, naves and windows. You can have lunch in one of the typical styled restaurants in the district and, later you can have a break in the botanical gardens near the famous Canal du Midi. Don’t miss the chance to lose yourself in the narrow backstreets full of small libraries, cafés and bistros: it is the perfect way to experience and see the real soul of the town! 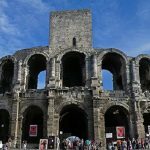 After lunch, you will reach the beautiful city of Arles, in the region of Provence, one of the most important Roman cities in the province of Gallia. There, you can find many Roman monuments, all classified as UNESCO World Heritage Sites. The most impressive Roman remnants are without a doubt the Gallo-Roman semi-circular theater, the amphitheater (inspired by the Colosseum) and the Roman necropolis called Alyscamps. Moreover, the church of St. Trophime is a great example of Romanesque architecture, and the Ancient history museum will give you the opportunity to enjoy and learn about its past. 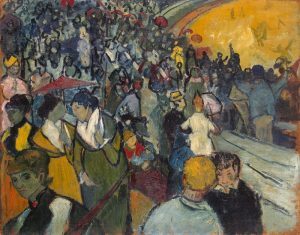 Coming back to recent times, you can visit the amazing Foundation Van Gogh and all the sites that he “used” and painted in order to create his masterpieces (over 300 during his time in Arles!) Later, have some Pastis in Place du Forum and look for a nice bistro in the backsteets or in one of the hidden squares close to Rue du Dr. Fanton. 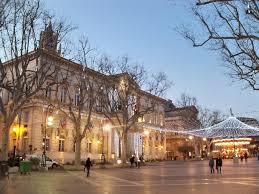 After dinner, you will reach your hotel in Arles where you will spend the night. The day after, you will leave for Les Baux. 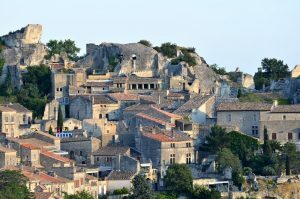 After some sightseeing in the morning, you will leave with a minivan for Les Baux, a small village nestled in the mountains, atop a rocky outcrop: the view over the valley is breathtaking and the fairy-tale atmosphere will astonish you. Within the village, the most important sight are the Castle ruins and St. Vincent church. You can walk in the lower town, take some photos and admire the beautiful landscapes: however, do not forget to experience the Carrières de Lumières, a permanent show where bright images are projected against some stone walls in deep galleries, in order to plunge the spectator in a “total” musical and visual experience. Later, you will relax admiring the beautiful landscapes around the village and then you will leave with your minivan for Avignon. Once there, you can have a break in the famous Place de l’Horloge and visit the Petit Palais Museum, an art gallery with religious Italian paintings from the 14th and 15th centuries. Later, you can reach the Rocher des Doms, where you can find a beautiful public garden and a breathtaking view over the river. You can have dinner in one of the restaurants in Place de l’Horloge or close to the Rocher, and then you can have some wine tastings – for instance, of Côtes du Rhône around the city and in small wine shops. Then, you will be driven to your hotel in Avignon. 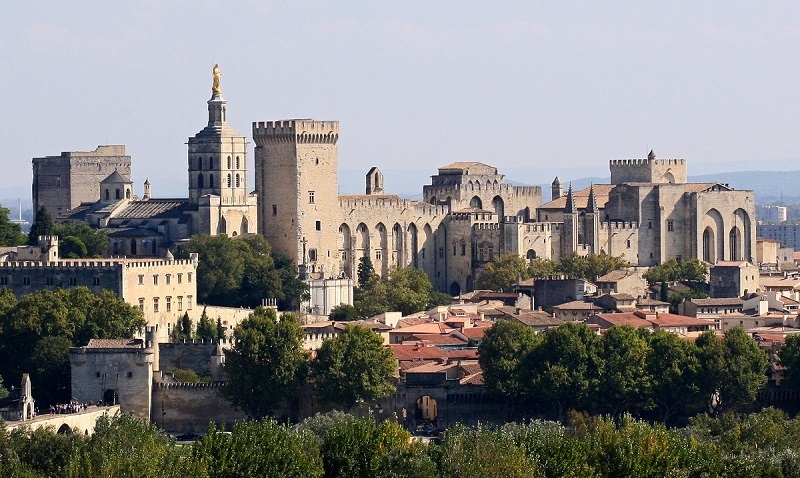 In the morning, still in Avignon, you will have the possibility to visit the magnificent Papal Palace (Palais des papes), one of the most important gothic medieval buildings in Europe. 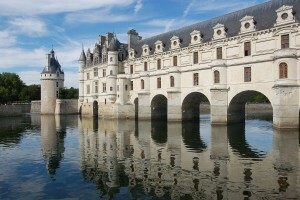 This palace, along with the Pont saint-Bénézet, is also classified as a UNESCO World Heritage Site. 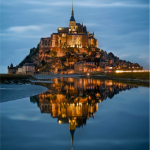 While walking through the streets of the town, you can also admire the Notre Dame des Noms Roman Cathedral and the Calvet Musuem, with its collection of paintings and metal objects, along with other important medieval buildings, such as the ramparts and the Church of Saint-Pierre. If you’d like, you could spend some time visiting some market in Rue des Teinturiers: there, you can buy seasonal products and local handmade objects. 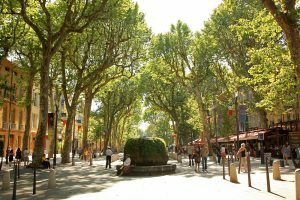 After lunch, you will leave for Aix-en-Provence: there, you will have the chance to visit the elegant jewel of the Provence region, walking in Cours Mirabeau, through decorated fountains and old streets and squares. You can take a look at the impressive Cathedral, along with the Appeal Court. There are several museums you can visit, such as the Museum of Natural History and the Museum du Viel Aix, with some collections about Provencal history. 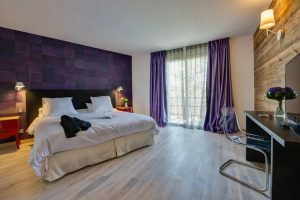 Take a break at the Quartier Mazarin, a typical district built by the archbishop Mazzarino with several Hotel Particuliers – great townhouses – and a cozy atmosphere. 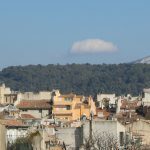 Outside the city of Aix, you can also admire one of the most iconic landscapes of the area, the Montagne Sainte-Victoire, one of Cézanne’s favorite subjects. After the visit and, if you like, a “provençal” dinner in the city centre, and to conclude your evening, you will be driven to your hotel in Aix. 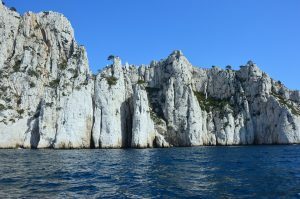 On your 9th day, you will be brought to the breathtaking “calanques” in Cassis, for a relaxing boat trip through cliffs and sheltered inlets. During the trip, you can also visit one of the islands in the Frioul archipelago, where Dumas’ Count of Monte Cristo. During the day, you will have time to relax, take pictures, stroll around and admire all the landscapes. If you like, you can have a picnic along the coast or you can visit the city of Marseille. 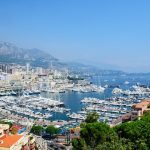 In the afternoon, you will finally leave for Monaco by train: in this minuscule and amazing principality, you can have a proper dinner in one of the fancy restaurants within the town and end your day at the Casino! There, you will experience the thrill of slot machines and private gaming. When you start feeling tired – or once you have lost too much money – you will head to your hotel in Monaco, where you will spend the night. 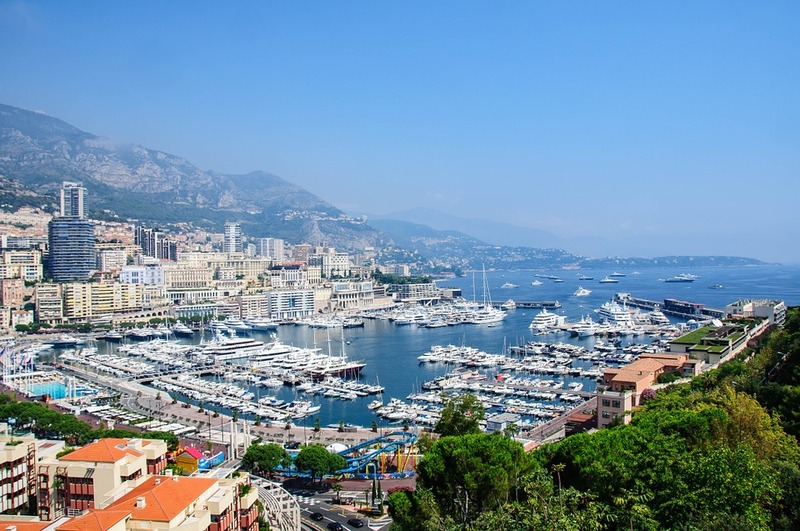 The 10th day of your tour, you can enjoy all the main sights in Monaco and do some shopping. Beginning with the Palace Square, you can stroll around the city around the Prince’s Palace, the place where Prince Albert and his wife live. You can enjoy the famous Changing of the Guard ceremony and then move to the Cathedral of Monaco. Along the way, you can also visit the Napoleon Collection, full of items which he left behind. Later, you can relax either at the Cousteau Aquarium or at the Jardin Exotique, the fascinating municipal garden. 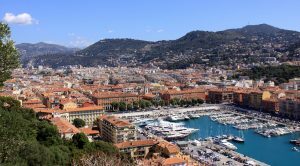 In the afternoon, you will reach Nice by train: starting from the Promenade des Anglais, a four-mile long seafront made in marble, you can walk from the Hotel Negresco – a historic monument – until the Castle Hill, where you will have a beautiful view of the town. During the walk, you can stop at the Albert 1st park and take a break to enjoy the park. In the old town, you will find amazing restaurants for dinner and, to end your day in the best possible way, have a fancy drink at the Hotel Negresco, or enjoy the nightlife at the Distilleries Ideales. Otherwise, you can always enjoy the sunset at the Castle Hill and take a walk along the beach. 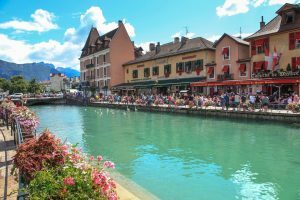 In the morning, you can experience a wonderful 1h-cruise on the Lake Annecy, one of the clearest and cleanest lakes in Europe: you will then see the city and the surroundings from another perspective, relaxing and enjoying nature in its purest form. Within the city, you can visit some castles and explore the channels, the lake and the Thiou river. Later, you can have lunch in one of the typical regional restaurants within the town and have fun experiencing one of the available outdoor activities, both on the lake or closer to the mountains. In the late afternoon, you will be driven to Lyon, where you will spend the 12th night. 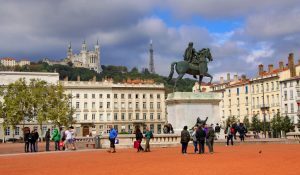 On the 13th day of your trip across France, you will have the chance to visit one of the most important cities in the country: Lyon. The city, mainly known for its gastronomy and for the amazing Roman and Romanesque sights, offers beautiful landscapes and many things to do. 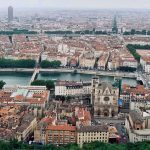 First, you can have a walk in the Old Town (Vieux Lyon), where you will find impressive Gothic and Romanesque churches, old narrow streets and typical boutiques and brasseries. From there, you can either walk or take the funicular tram in order to reach the magnificent Basilica of Notre-Dame de Fourvière: from the top of the hill, you will have a breathtaking view over the city. You can have lunch in one of the typical “bouchon” in the Old Town and relax in the cosy Parc de la Tête d’Or, in the very city centre. 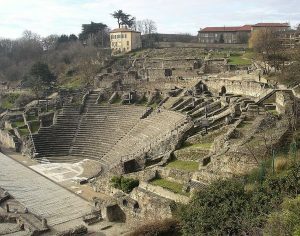 In the afternoon, don’t miss the chance to visit the ancient Roman Theatres, along with the Gallo-Roman museum, in order to learn some history about the town. Relax and enjoy the town walking from Place Bellecour to Place des Terreaux: you can do some shopping and have a drink in one of the typical cafés. Later, you will be driven to the train station, where you will take the train to reach Strasbourg. 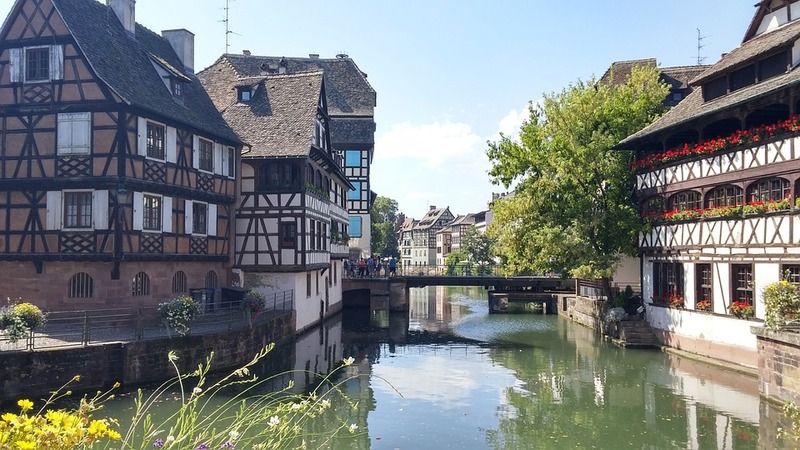 After the night in one of the hotel in Strasbourg, you will visit the city: the town is a perfect illustration of the Franco-German culture, with typical old houses, regional food and mixed cultures and landscapes. Take some time to wander around the city: there, you will have the chance to visit the magnificent Notre-Dame Cathedral, with its astronomical clock and its impressive towers. Then, you can reach the so-called Petite France, the most famous part of the town (part of the UNESCO World Heritage), where you will find water channels and typical medieval houses. 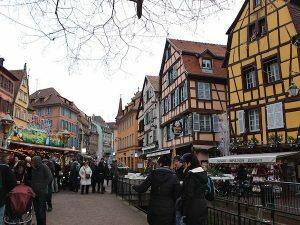 Later, you can visit the Alsatian Museum and have lunch with some typical food: don’t forget that Strasbourg offers a mixed culture, for this reason, you can find a unique architecture, unique landscapes and unique sights! In the late afternoon, you will be driven to the Champagne region, where you will spend the night in a hotel in the vineyards. 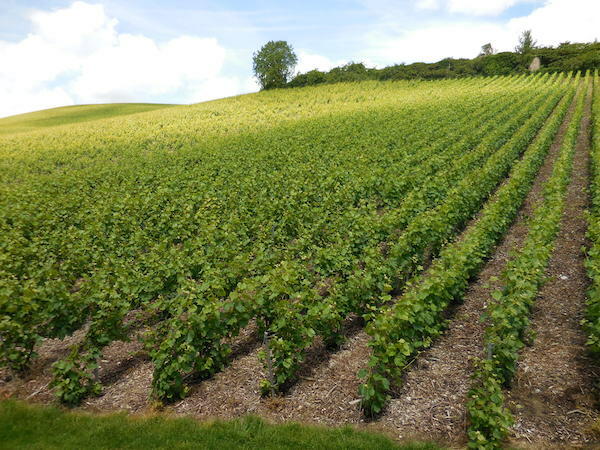 On the last day of your trip, a guide will pick you up at the station and will lead you through the Champagne region: first, you wil visit a producer of “Grand Cru” (that is, a wine with great reputations), either in Reims or in Épernay. There, you will learn about the production of this special wine and you will taste some different varieties of Champagne. You will then have lunch in a typical restaurant: the menu will include 3 courses, 2 glasses of wine and a coffee. Later, you will reach the famous Hautvillers’ church, where the monk Dom Pérignon, who gave a crucial contribution to the production of quality Champagne, is buried. 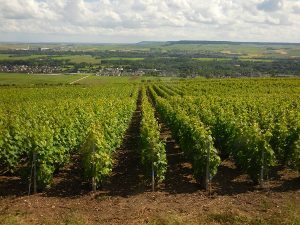 Later, you will visit two local producers: there, you will be shown and taught about the different stages of the production of the Champagne. A few tastings will follow these visits. After this, you will be driven to your hotel in the vineyards, where you will spend the last night. The 16th day, after breakfast, you will be driven to the train station, where you will take the train to go back to Paris. A regal hotel with elegant rooms. This beautiful mansion offers a park and, in the summer, a pool. For an additional fee continental breakfast is offered and there is also a restaurant in the hotel. The hotel is 9-minute walk from the beach, in the very center of Nice, just 1 km from the Promenade des Anglais. All rooms offer a contemporary décor and are equipped with a flat-screen TV, safety deposit box and minibar. 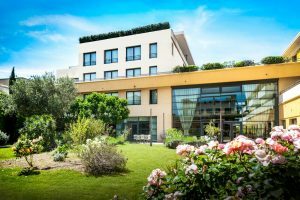 Right in the heart of a green area and only 10 km St. Emilion and its vineyards, the Hotel Château Fleur de Roques offers an outdoor swimming pool and a garden with a terrace. 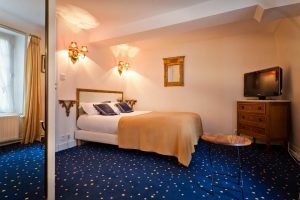 All the rooms are decorated with some antique furniture and a large double bed. Avignon Grand Hotel is located just outside the city’s walls, around 15 minutes from Palais des Papes and offers a small rooftop pool. All the rooms mix the provencial style with modern decoration. Close to the famous Cours Mirabeau, in the heart of the historic quarter of Aix-en-Provence, the Hotel Les Augustins is set within the walls of a 12th-century convent. It mixes modern with historic architecture and the rooms provide air conditioning, a TV and a minibar. 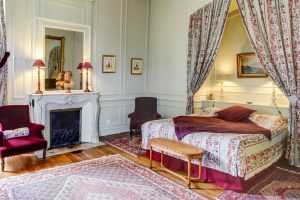 This hotel is classified as a Historical Monument: it is a 17th-century building with a wooded park in the heart of Champagne, very close to Épernay. All rooms have private bathrooms and free Wi-Fi access. 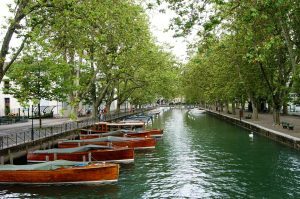 The hotel is very close to the banks of Lake Annecy: all rooms are decorated in a modern style and include a TV. They also provide free toiletries, an en suite bathroom and a desk. 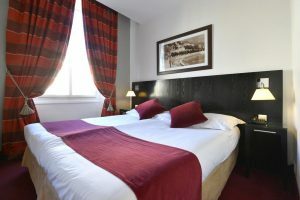 ✓ In Avignon, during the month of July, rooms can be hard to find because of the famous Theater Festival: reserve early!